It’s been nearly 30 years since author Anne Rolphe reflected on her family’s Christmas tree in The New York Times with the essay “Christmas Comes to a Jewish Home.” Rolphe’s December 1978 essay elicited a strong reaction from many Jews who rightfully objected to the ways she justified assimilation and equated a vibrant and literate Jewish life with living in a ghetto. The essay and reactions to it raised important questions about Jewish identity in America and the seductive nature of Christmas for those who are not Christian. We wholeheartedly agree. But that said, we would like to emphasize a distinction that many people lately have been loath to acknowledge. Though its themes of peace, generosity and goodwill have universal religious appeal, Christmas belongs to Christians. We have little to fear in acknowledging that and perhaps a good deal to gain. Sure, it might secfh counterintuitive for a liberal Catholic and a rabbi to sound a note that, in recent years, has rung in monotone among conservative pundits and other leaders of the Christian Right. But for both Christians and Jews in America, recognizing Christmas as a celebration of Jesus’s birth is precisely what we need. Christians, who in this season are called to remember the humility and hope, the wonder and divine blessing of Jesus’s nativity, have to wonder whether the political maneuvering of conservatives to put “Christ” back in Christmas is doing anything to put something of this spirit into the holiday. Today, despite celebrated “victories” by Christian conservatives in the US who this year persuaded large retail stores, including Macy’s and WalMart, to advertise using “Merry Christmas” rather than “Happy Holidays, ” the commercial blast hits harder than ever. CONSIDER THE Black Friday shoppers storming Best Buys this year; crowd-control required an armed police presence. What in this provides some contact with the great Christian myth? And as the economic mania of the day after Thanksgiving owes its nickname to the sighs of relief resounding throughout boardrooms as companies finally move out of the red, it hardly seems to reflect the traditional themes of Christmas that Rolphe mourned three decades ago and that we mourn today. 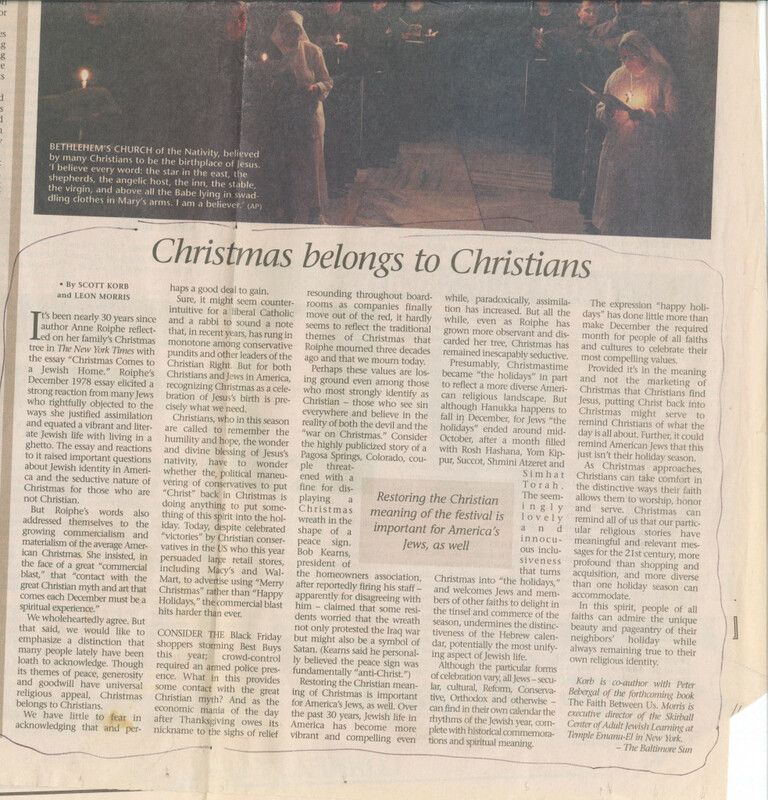 Restoring the Christian meaning of Christmas is important for America’s Jews, as well. Over the past 30 years, Jewish life in America has become more vibrant and compelling even while, paradoxically, assimilation has increased. But all the while, even as Rolphe has grown more observant and discarded her tree, Christmas has remained inescapably seductive. Presumably, Christmastime became “the holidays” in pan to reflect a more diverse American religious landscape. But although Hanukka happens to fall December, for jews “the holidays” ended around mid-October, after a month filled with Rosh Hashana, Yom Kippur, Succot, Shmini Atzeret and Simhat Torah. The seemingly lovely and innocuous inclusiveness that turns Christmas into “the holidays, ” and welcomes Jews and members of other faiths to delight in the tinsel and commerce of the season, undermines the distinctiveness of the Hebrew calendar, potentially the most unifying aspect of Jewish life. Although the particular forms of celebration vary, all Jews – secular, cultural, Reform, Conservative, Orthodox and otherwise – can find in their own calendar the rhythms of the Jewish year, complete with historical commemorations and spiritual meaning. The expression “happy holidays” has done little more than make December the required month for people of all faiths and cultures to celebrate their most compelling values. Provided it’s in the meaning and not the marketing of Christmas that Christians find Jesus, putting Christ back into Christmas might serve to remind Christians of what the day is all about. Further, it could remind American Jews ti rat this just isn’t their holiday season. As Christmas approaches, Christians can take comfort in the distinctive ways their faith allows them to worship, honor and serve. Christmas can remind all of us that our particular religious stories have meaningful and relevant messages for the let century, more profound than shopping and acquisition, and more diverse than one holiday season can accommodate. In this spirit, people of all faiths can admire the unique beauty and pageantry of their neighbors’ holiday while always remaining true to their own religious identity. Korb is co-author with Peter Bebergal 0f the forthcoming book The Faith Between Us. 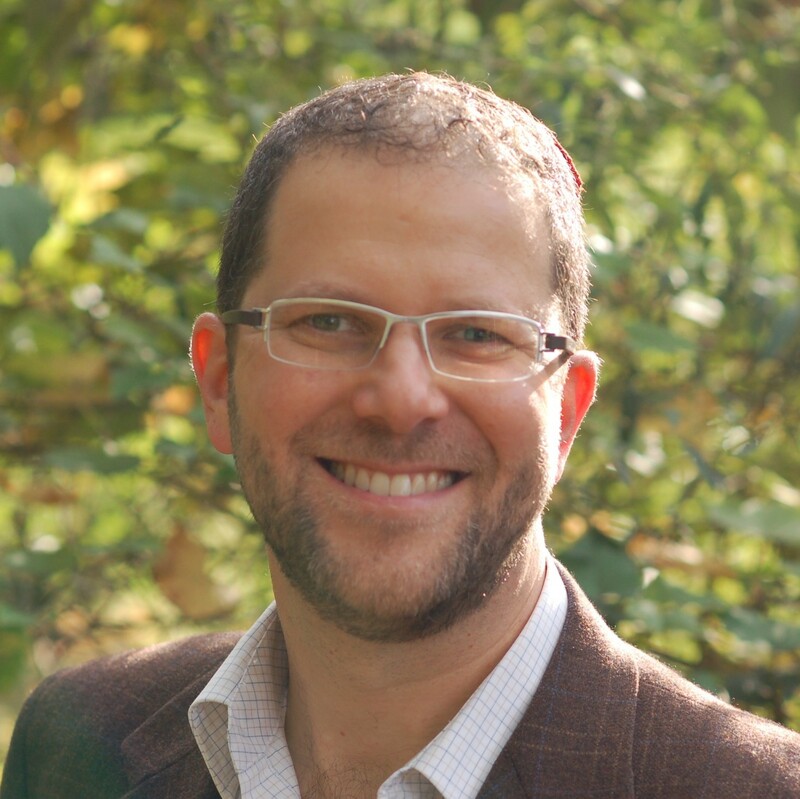 Morris is executive director of the Skirball Center of Adult Jewish Learning at Temple Emanu-EI in New York.